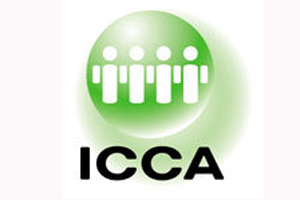 The UK Chapter of the International Congress & Convention Association (ICCA) will team up with Meeting Professionals International (MPI) in 2011 to carry out an economic impact study on the value of domestic conferencing. The study, which will cost £250,000, has already got a commitment of financial backing from Visit Britain, Intercontinental Hotels Group and the MPI Foundation. Planned for completion by 2012, the analysis will follow an already established MPI model, which has successfully been used to carry out comparable studies in Canada, America and France. Anticipated results will show how much money is spent during UK conferences, both onsite as well as offsite, providing the overall economic contribution to both the UK and regional economies. Plans for the study were unveiled on the first day of the 49th ICCA Congress, which is taking place in Hyderabad, India until 27 October. Almost 900 member companies from 86 countries have gathered at the Hyderabad International Convention Centre for five days of networking and educational sessions. Outgoing ICCA president and chief executive of the Melbourne Convention & Exhibition Centre Leigh Harry said: "The timing for this pioneering congress is perfect. India’s meetings industry is clearly on the move, with our host venue having inspired India’s public and private sectors to start investing big-time in the infrastructure and professional skills that are necessary for the country to really compete at the highest level."